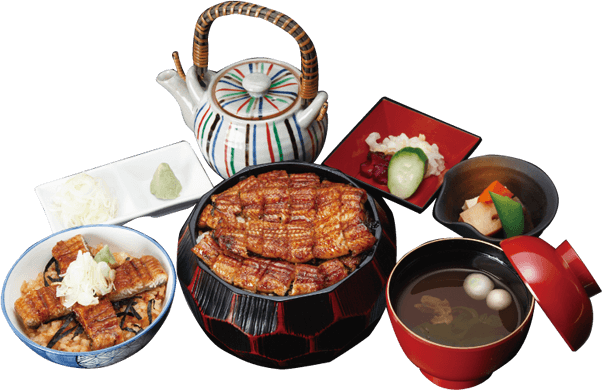 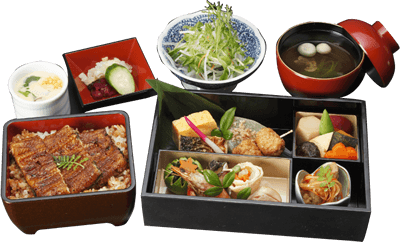 Tea on rice with grilled eel in lacquered box. 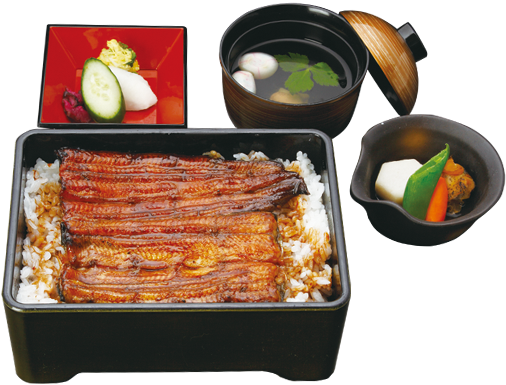 Grilled eel on rice in lacquered box. 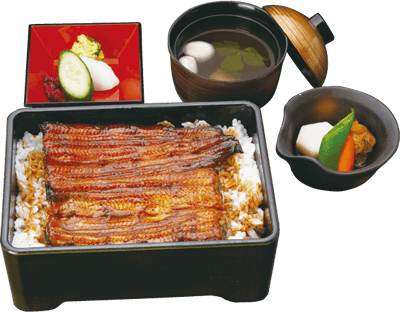 Grilled eel and foie gras on rice in lacquered box.Please enjoy a rich taste. 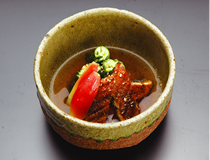 A pot of eel boiled in soy sauce with eggs and leek. 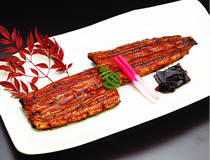 Cut the selected eel from behind at first, bake and slow steaming, and than bake again. 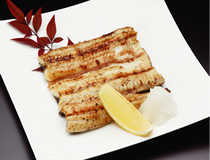 Through this way, you can eat the soft texture, scented broiled eel. 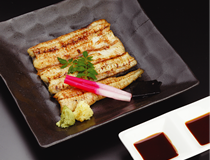 Please eat with ginger sauce or wasabi sauce. 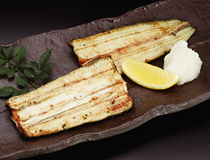 Use natural salt to broiled. 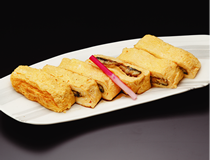 The omelet wrapped in eel. 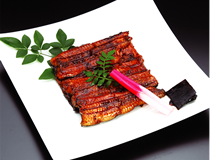 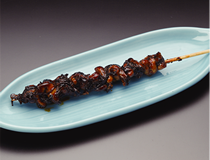 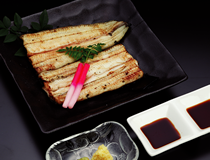 The middle is Kabayaki eel.Please eat with secret sauce. 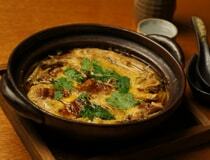 A pot of kabayaki eel simmered in soy sauce with eggs and leek.